Nature does wonders for writer’s block! Great words, well I have started newly. This is beautiful ❤️ I love the way it rhymes. 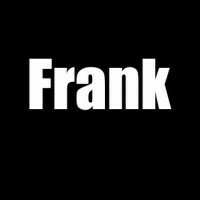 But even through it, if you can come up with such a perfectly worded and amazing piece, then it shows just how blessed and phenomenally talented you are Frank! Keep it going, keep writing and do not stop and the weight of the block will lift away eventually. I can definitely relate to this! Might I recommend some free association writing? Just sit down and write, and write some more. Let your thoughts pour out. It doesn’t have to be cohesive or grammatically correct. You might be surprised what you find. Happy writing! carry around if you want your spirit to fly free. We all need that tree every now and then. Tell me, in which field did you find it? I can empathize. Those Big Blocks are a pain….